Transparency International’s partner in Honduras, Asociación por una Sociedad más Justa (ASJ), is also part of a civil society alliance called Let’s Transform Honduras (Transforememos Honduras). 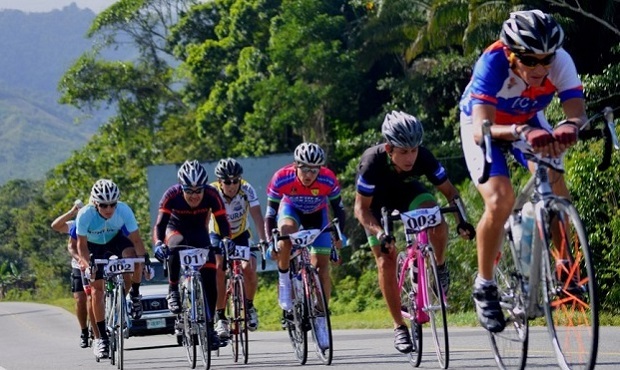 In January, Let’s Transform Honduras organised its 5th Bike Race from Costa a Costa – Coast to Coast. I’ve worked with ASJ since they joined Transparency International’s global anti-corruption movement several years ago. I have seen first-hand how they have brought organisations around the country and internationally together to help bring down homicide rates, ensure greater access to and quality of health care and education for those children and families in greatest need, and fundamentally turn the aspiration of social justice into a reality in Honduras. So when I heard about Costa a Costa, I jumped at the chance to support the Let’s Transform Honduras project and see more of Honduras at the same time. 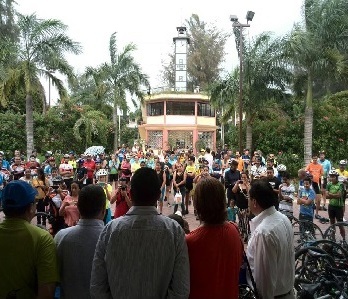 The topic of this year’s event was “cycling for education” and it involved holding public events to tell people how to spot corruption in schools. On 4 January we – that is a large group of 125 professional and amateur cyclists – set off to cover 534 km to visit nine cities in eight days. In each of the cities where we stopped there were public events to share the message that the quality of the education can be improved with citizen oversight and that this will lead to better performance in school by boys and girls alike. At these events, we highlighted the achievements of Let’s Transform Honduras, which aims to engage people to collectively push for transparent and accountable public services, especially health and education, as a way to reduce poverty and strengthen democracy. Part of that message also emphasised how a more transparent and accountable public education system in Honduras has led to more resources reaching the students, which is why Honduras is starting to improve on major education indicators. For example, ASJ with Lets Transform Honduras, has led a long campaign to stop teacher absenteeism and to check all the people on public teachers’ payroll rosters are really teaching. This has been important to stopping the corruption phenomenon of “ghost teachers” whereby people get their names added to teaching rosters and receive pay but never show up in the classrooms. I found the bike ride was a wonderful way to acknowledge all the amazing students and families who are committed to education as well as to show how important it is for people to come forward when they are victims or witnesses of corruption in the school system. This was one of the key messages.